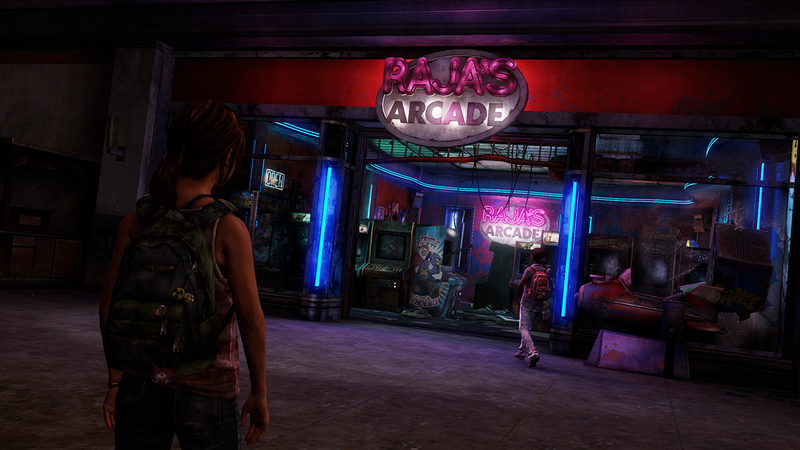 The Last of Us’ “Left Behind” is first story-based DLC to be made available for the game. It focuses on Ellie, the young girl who partners with Joel throughout the core campaign, and the last night with her best friend Riley in an emotional, narrative-driven, action-packed adventure. “Left Behind” brings to light two separate stories in Ellie’s timeline that were not previously elaborated on in the core game. These two portions flip back and forth throughout roughly 2-3 hours of gameplay, making up the entire DLC campaign. The first part show the events that transpired during the gap between when Joel is seriously hurt at the college and where you pick up in the winter while playing as Ellie for the first time in the main campaign. Here we see Ellie desperately searching for first-aide equipment in order to stitch up Joel’s serious wound and save his life. She battles Clickers, Stalkers, and human enemies throughout these portions of the game, making it a trying section which is full of combat, stealth and a set goal. The other portion of the game features Ellie and Riley, two friends who grew up together in the dystopian environment of The Last of Us’ universe. Riley surprises Ellie with a visit after being absent from their military school for 46 days and reveals that she has become a member of the Firefly’s. Ellie reluctantly sneaks out with Riley and the two girls head to a mall together to have a little bit of fun. Those who have played the core game or have read the American Dreams comic book mini-series will know that their adventure ultimately ends horribly. Both girls are bit by an infected enemy leading to the death of Riley and the realization that Ellie is immune to the infection. This part of the DLC has little to no actual combat and most focuses mostly on the bond between the two young girls. We get to see how close Riley and Ellie were through their interactions, which imply a somewhat romantic relationship between them, as well as gain a better understanding of how much Riley meant to Ellie as well as how scarring her death was. The gameplay of the DLC is pretty much exactly the same as it was in the core game. The portion in which you must find first-aide for Joel equips Ellie with a gun and later a bow. Ellie, as always, has her trademark knife at all times so if ammo or arrows are scarce, or you wish to go for a stealth approach, that is always an option. You may also craft supplies such as health kits and molotov cocktails to help you throughout this portion. 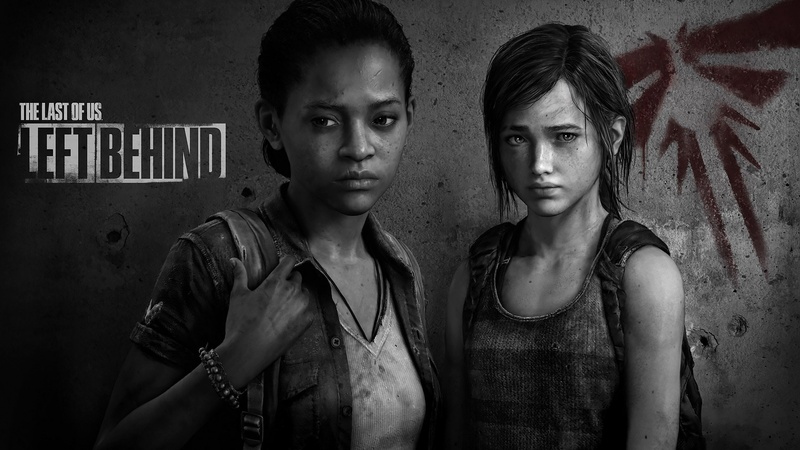 These sections are centered on Ellie, while Joel may be a part of it he has very little screen time and no lines other than those that are seen in a flashback to when he was injured. Ellie is the center of this DLC and is therefore highlighted in both portions of the game. 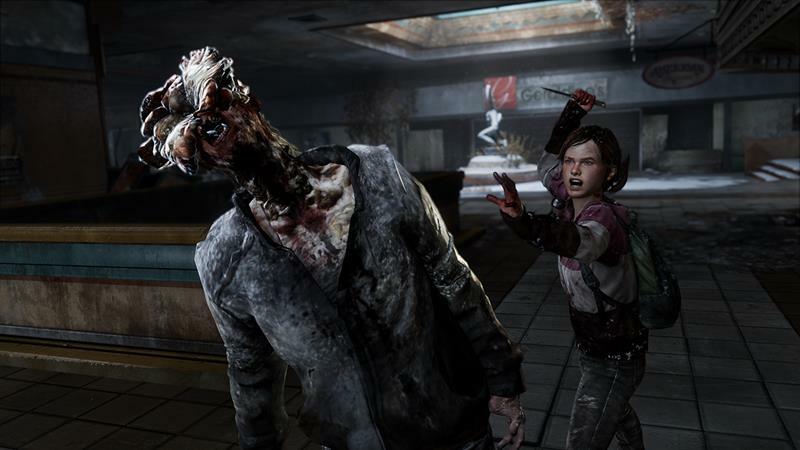 The other portion in which Ellie is with Riley has only a small portion of physical combat, which takes place towards the end in the form of saving Riley while running away from the infected. Most of this section is centered around exploration and uncovering more of Ellie’s backstory. The girls run around a mall while exploring the environment and looking for fun things to do. They tour a Halloween store, ride a carousel, have fun in a photo booth, play some arcade games, and have a water gun fight. All the while we are witnessing the strong connection that each of them have with one another. As I have previously mentioned, this entire DLC truly focuses on the story of Ellie and how she developed as a character before she met Joel. One of the core themes of the DLC is to never give up. This theme is highlighted in both sections of the game as Ellie must fight to save Joel and fight to spend her last moments with Riley. One of the most influential and character building quotes in the DLC comes from Riley after she and Ellie have been bit and they are trying to decide what to do; kill themselves or wait to turn into monsters together. It is the last quote in the game and by far the most important as it is related through imagery and emotion to both Ellie’s relationship with Riley as well as her relationship with Joel. I found this particular quote to, in some ways, relate to the quote that was previously associated with Ellie: “Endure and survive”. I felt that both of these quotes perfectly define Ellie’s consistent mentality and in the “Left Behind” DLC we witness where she gained the strength we see in her throughout the core game as well as who she gained it from. It is a deeply emotional scene that is an icon for what “Left Behind” was attempting to convey – fight for any amount of time spent with those you care about because you could be dead tomorrow. A seemingly controversial scene in the game involves Ellie kissing Riley during an emotion fueled sequence of events. Throughout the DLC there are strong hints that the two girls think of one another as more than just a friend. Whether or not this means that the two girls were seeking a lesbian relationship with each other or were simply exhibiting teenage hormonal behavior is up to speculation at the moment, but what I loved so much about this scene was how it shows in such a simple way how much Riley and Ellie meant to each other. When Ellie talks about loss later on in the main game it resonates in a more meaningful way now, thanks to this DLC. She didn’t just lose a friend, she lost a partner, someone she loved. It further builds on Ellie’s character, making her one of the most in-depth, fully realized characters in the video game world. The Last of Us “Left Behind” is a must play for any fan of the critically acclaimed game. With gameplay and story progression that is on par with that of the core game and narrative that showcases deep emotion and strong character development, it’s definitely worth its $14.99 price tag (Left Behind is included in the game’s season pass, as well). This DLC is just as good as the core game, any PS3 owner who has The Last of Us in their game collection would be doing themselves a favor by acquiring this DLC.